When you're performing precise work with tools, it's important that you're able to maintain a firm grip on the objects during use. 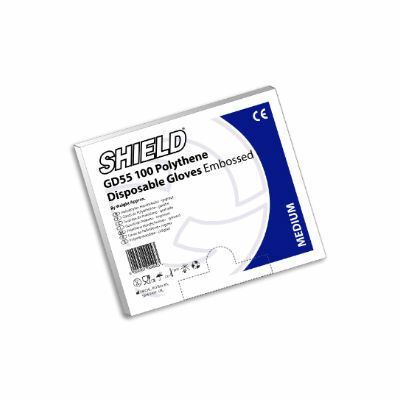 The Shield GD55 Embossed Polythene Disposable Gloves (Pack of 100) have an embossed surface for additional safety and grip. The Shield Embossed Disposable Gloves have been evaluated to ensure they can come into contact with food. The test shows that these gloves are suitable for this purpose. 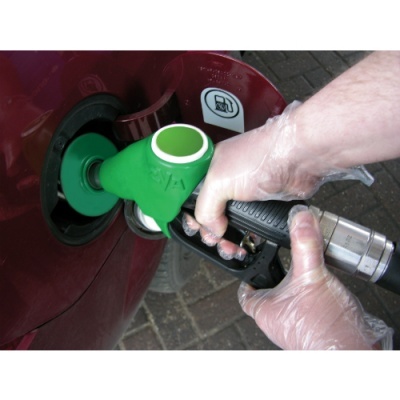 The Shield GD55 Disposable Gloves are available in two sizes. To find the correct size, please measure your hand across the widest part of your palm and refer to the sizing table below. The thickness for both of these glove sizes is 0.012 ± 0.03mm.